One of the most anticipated test series viz. 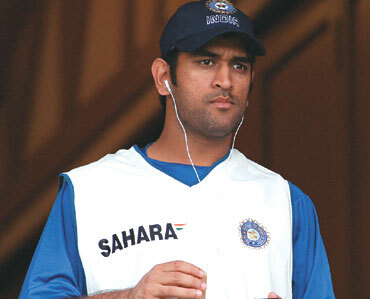 India Vs South Africa test series begins from tomorrow. Clash of number one and number two team in test cricket is obviously a treat to watch. South Africa is a place where India would like to forget their history because India has nothing much to cheer about the history of their cricket in South Africa. Talking about this series, India skipper MS Dhoni said that the team is prepared very well and all the senior players are featuring which is an added advantage. Talking about the ICC rankings he said that reaching the top spot isn't an overnight effort but it comes along with your consistency in last 2-3 years. Performances in one or two series doesn't matter but reaching the top requires consistently good performances which India has produces in recent past. With a strong batting line up consisting of Sehwag, Gambhir, Sachin, Dravid, Laxman he hardly has any worries about the batting department. He is also pretty confident about the bowling attack. Stay online with us for live cricket streaming as the India Vs South Africa 1st test kicks off tomorrow.